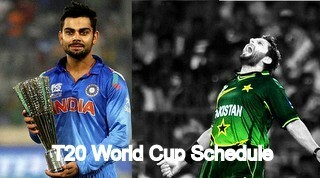 Today International Cricket Council (ICC) has announced T20 World Cup 2016 Schedule or Cricket World Cup Fixtures. All Cricket World Cup matches will be played in India from 8 March to 3 April. This is the first time India host ICC event without any collaboration. According to T20 World Cup 2016 Schedule, T20 World Cup Cricket matches will be played in 7 different cities of India. There are 7 venues has decided by BCCI, those are Bengaluru, Chennai, Dharamsala, Kolkata, Mohali, Mumbai, New Delhi and Nagpur. In this tournament total, 58 matches will be played on 7 venues, 35 Men’s and 23 Women’s Matches will be played in the 27-day tournament. The Final match will take place at Eden Garden (Kolkata) and Semifinals will host by New Delhi and Mumbai. The Winner of Men’s T20 World Cup will be rewarded by USD 5.6 Million, which is 86% more from the last edition. Total prize of Women’s tournament is USD 0.4 Million increased by122% from the Last edition. The upcoming series between Pakistan vs India might have been on hold , but Pakistan and India fans are very excited because both teams are in the same group of T20 World Cup According to T20 World Cup 2016 Schedule India in super 10 group 2 with Pakistan, Australia and New Zealand. India will play the first match of this T20 World Cup against New Zealand at Nagpur on March 15. India will play against Pakistan on March 19 at Dharmshala. All India-Pakistan Cricket die hard fans are crazy to watch live match on Broadcasting Channels. BCCI Secretary, Mr Anurag Thakur said: “We already shows our ability to host event like this. We have good experience from hosting 3 Cricket World Cup and are ready to make the ICC World Cup Twenty20 India 2016 one of the most memorable events". “We have done good preparation for this World Cup Cricket, BCCI and ICC are working very hard to make it a lifetime experience for the players and the fans. India is a Secular Country- where people live with their different culture and people are very crazy about Cricket, its like a religion for people". After T20 World cup 2016 Schedule launch, Australian Spin bowler Shane Warne prediction about this T20 World cup 2016, he share his views from Twitter, he twitted India will win this Cricket World Cup. This is first time in India, Chennai will not host any match for this Cricket World cup. because last month Chennai faced very big crisis, too much rain and floods are the main reason for this because all part or system of Chennai has damaged. World Cup Twenty-20 format is very popular format of Cricket. First T20 World Cup hosted by South Africa in 2008. India was the first T20 World Cup winner and beat its traditional opponent Pakistan in final match. After every one year t20 World Cup organized by ICC. Many new things come up with this T20 World Cup like, Free hit, Super over etc. here is the all T20 World Cup records. All Information credited to Wikipedia. All Cricket fans are very excited to watch live match of this T20 World Cup 2016. All tickets are available for live match on stadium. This world cup will be hosted by India and it is also famous for its culture and food. So if you planning to enjoy cricket world cup then you can also enjoy Indian culture, whether or food. So get ready for indian tour guys. 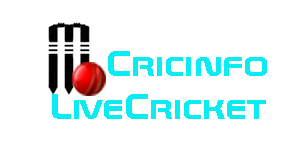 to get updates regarding the T20 World cup 2016 please visit this Website. T20 World Cup 2016 Schedule has announced by ICC and Warm up matches Schedule has released by ICC. India will face West indies and South Africa in two Warm up matches before the T20 World Cup 2016. These are the practice match for T20 World Cup 2016, India face first match against West indies at Eden Garden and second match against South Africa at Wankhede Stadium, Mumbai. t20 world cup 2016 time table, t20 world cup 2016 schedule, t20 world cup 2018, t20 world cup 2016 schedule pdf, t20 world cup 2016 fixtures,t20 world cup 2016 schedule wiki, t20 world cup 2016 schedule and groups, cricinfo Live, Cric Live, Cricinfolivecricket, Cricinfo Live Score, Cricinfo Live Streaming, Cricinfo T20 World Cup 2016 Schedule.